This article appears in print in the October 2018 issue. 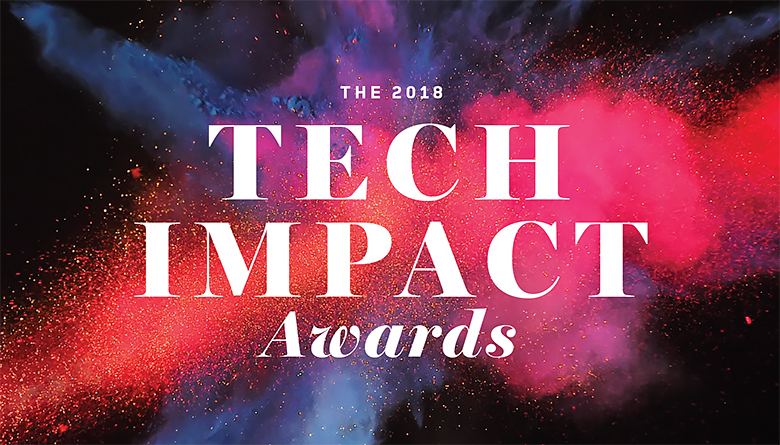 See more about the winners of the 2018 Tech Impact Awards here. Click here for a free subscription. To many, Washington’s tech sector seems esoteric, otherworldly. The reality, is that tech — the creation of new and better tools — is as ordinary as peanut butter and jelly, as essential as air and water. On the pages that follow, we shine a spotlight on 19 honorees whose efforts and accomplishments affect the lives of millions and improve the economy in Washington state and beyond. Congratulations to the recipients of Seattle Business magazine’s 2018 Tech Impact Awards! *Judges do not vote on nominations that might present a conflict of interest.